These Awesome SUV's are no longer made and getting very tough to find in this condition and in the ever popular Voodoo Blue. LOW miles, 4X4, Full power pkg, Rear Diff Lock, Rear Sonar(backup assist), Front Skid Plate, Rock Sliders, 1 1/2" leveling kit, Tow Pkg, Traction Control, AM-FM-CD, Roof Rack and much more!! Clean AutoCheck history report with NO previous accidents---Very well cared for and exceptionally CLEAN!! Pics did not come out that good on the color. It's a deeper blue, more in tune with the last stock pic. 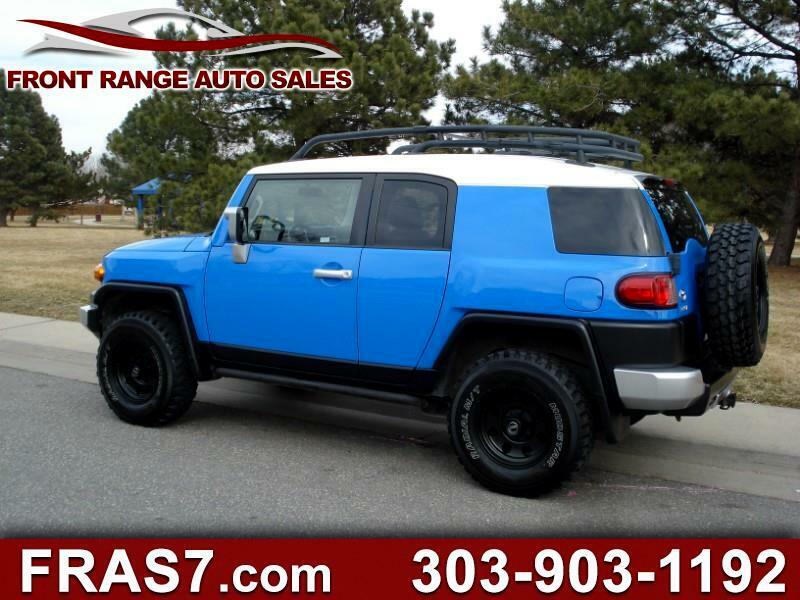 But if you're a Toyota fan and looking for an FJ then you're probably very familiar with the highly sought after Voodoo Blue color.